All the attention in the weed world today is on Washington Initiative 502, Colorado Amendment 64, Oregon Measure 80, and the Presidential Election, but massive changes to pot policy often start at the local level. Here in California, a number of communities will go to the polls today to vote for and against medical marijuana dispensaries. Voters will also be choosing representatives that may or may not support medical marijuana in the state legislature, as well as in Congress. Voters will also be picking local councilmembers and even school board members whose positions on pot will have more local effect than another edict from Washington D.C. The folks at the Marijuana Policy Project, the Drug Policy Forum of California as well as Americans for Safe Access have taken on the massive task of parsing candidates' pot positions, and writing voter guides. Read them over, and then go rock the vote. — Drug Policy Forum of California voter guide. 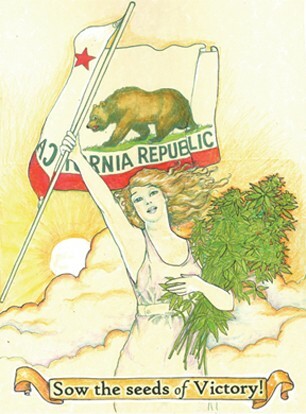 — Marijuana Policy Project - California voter guide. - Americans for Safe Access voter guide.